While similar in method to the "activity-based learning" introduced in the first set of books, Urdu for Children: Book II is designed to meet the needs of children of seven to eight years of age and older. The students' level is determined by their facility in reading, writing, and speaking Urdu rather than their chronological age. The scope of the topics in Book II is wider than in Book I and the forty stories and poems, most of them original, are more complex and longer. The original artwork is richer and more varied and the English-Urdu and Urdu-English vocabulary lists are more comprehensive. 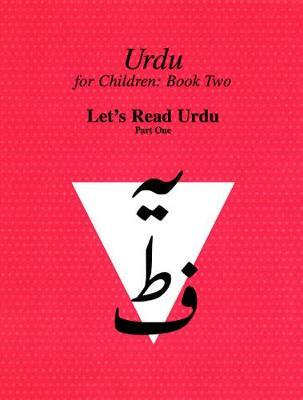 Two volumes of Let's Read Urdu have been added to help children enhance their reading skills while a two-part Workbook provides practice exercises in writing and reinforces the new vocabulary introduced in the texts. The activity-based Teacher's Manual provides detailed lesson plans for each Urdu text. Two CDs accompanying the two volumes of the textbook to help ensure standard pronunciation of words and intonations in sentences, and infuse life into the stories. Original music was composed for the poems, allowing children to sing them to help with memorization. Developed by a team of trained public school teachers with extensive backgrounds inteaching Urdu as a heritage language, the Urdu Language Textbook Series helps meet the needs of a rapidly growing Urdu-speaking community. It is the first step towards helping children develop Urdu linguistic skills so that they can keep their heritage and culture alive.